100 years ago, the Russian Revolution brought irreversible socio-political changes to the territory of contemporary Belarus. In 2017, the Belarusian people are still struggling for freedom in their own country. Artur Klinau, a leading Belarusian artist, examines the origins of communism and creates a new national mythology. His installations and art exhibits inscribe these new national myths in the context of world culture. A kulturäger, artist, writer, and filmmaker, Klinau has been a fixture on the Belarusian as well as post-Soviet cultural scene for the past three decades. Now, for the first time, his works are being presented in the United States. 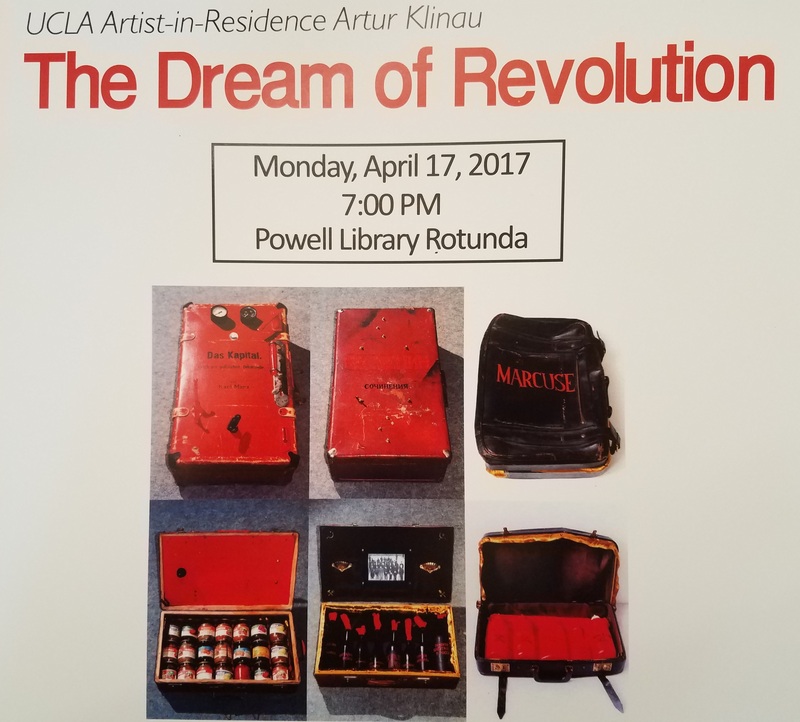 Collaboratively presented by the U.S.-Russia Foundation, the UCLA Department of Slavic, East European & Eurasian Languages and Cultures, and the UCLA Library.